As I carefully make my way across the narrow edges of the serene greenery, my thoughts flashed back to my schoolboy days — those times when I was musing about being in the famous places that regularly appeared in my Social Studies textbooks dubbed as "Magagandang Tanawin ng Pilipinas". I got up at 4:00 AM, put on my hiking shoes and awaken my senses with a cup of brewed mountain coffee. I was about to climb Mt. Kupapey and catch the first light of the morning. At the summit, apart from the sunrise, there would be either a clear sight of Maligcong's terraced rice paddies or a covering yet delightful sea of clouds. I reached the top when darkness still blankets the sky; and when the daylight finally broke, the former came into view. Going back to the jump-off, I opted to take the detour to the rice paddies. This route offers not only a vantage point that's closer to the man-made agricultural steps, but also the experience to walk upon the terrace itself. As I carefully make my way across the narrow edges of the serene greenery (so peaceful because no one's around except me and my guide), my thoughts flashed back to my old schoolboy days — those times when I was musing about being in the famous places that regularly appeared in my Social Studies textbooks dubbed as "Magagandang Tanawin ng Pilipinas". Curious on how high each step was, I once wished to stand upon a rice terrace so I can measure it myself. 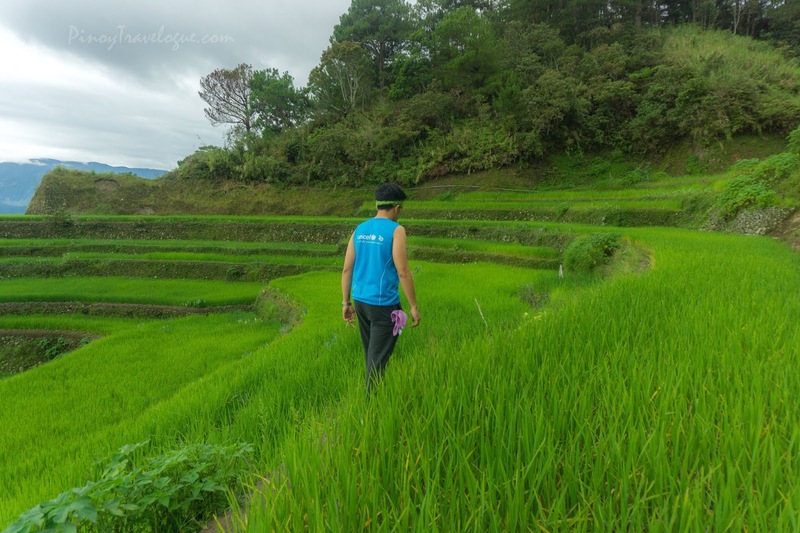 It might not be at the famed Banaue Rice Terraces — which I also had a glimpse of during a stop-over on my way back to Manila — but the trek down to the equally stunning wonder in Bontoc turned out as an unexpected realization of a childhood dream: to step upon the edges of the rice terraces. It made me recall those Philippine wonders I grew up daydreaming about and reconsider my next travel plans.